RENOVATION, RECYCLE AND TAX DEDUCTIONS: Most people are unaware of the opportunity to recycle luxury kitchens, baths, fixtures, and furniture. As a Certified Appraisal Examiner, I work with a non-profit organization to collect the information of all donated items. 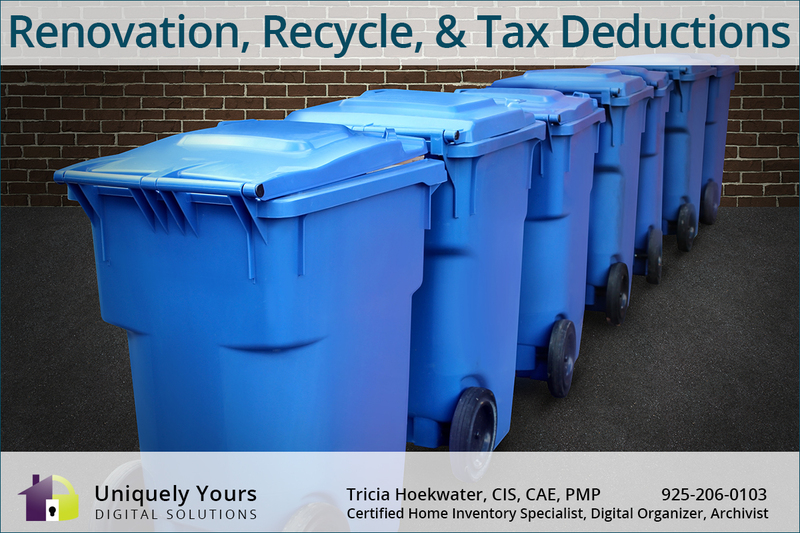 This keeps items out of landfills, creates jobs, and provides homeowners with the benefit of a tax deduction through their donation to the non-profit organization.